A staple of Ayurvedic medicine, fenugreek helps to stabilize high blood sugar levels, as well as having anticancer and antimicrobial properties. Fenugreek is also believed to help with stomach complaints and aid in weight loss by reducing fat absorption and curbing appetite, though its effectiveness for these uses has not been evaluated with empirical research. Used in a variety of chicken, fish, lentil, and vegetable recipes, particularly curries and chutneys, Fenugreek can also be made into a tea. 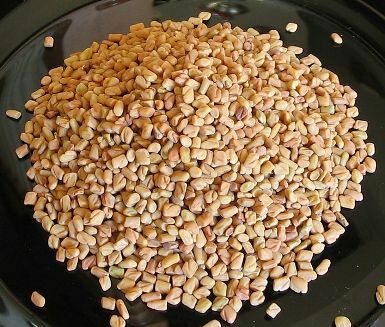 Fenugreek seeds are often roasted or fried lightly in oil before using and usually mixed with other spices. They can be purchased pre-ground, which is useful given that they are difficult to grind by hand. Fenugreek should not be taken by those who suffer from blood clotting disorders, diabetics, pregnant or nursing mothers, and those taking medication without first consulting a doctor, as this spice may be contraindicated.